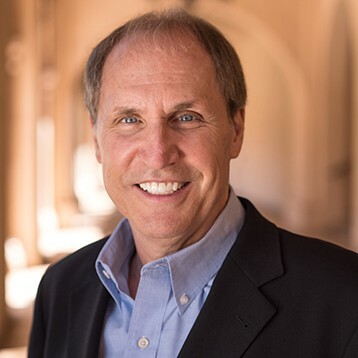 Jeff Wolf is recognized as one of America's most dynamic speakers, is considered one of the leading executive coaches in the country and is a highly sought after business consultant. He was named one of the nation's top 100 thought leaders by prestigious Leadership Excellence Magazine for his accomplishments in leadership development, managerial effectiveness and organizational productivity. He has been featured on NBC, CNBC, CBS and FOX TV. His book, Seven Disciplines of a Leader, is an international bestseller, was named one of the most thought-provoking leadership books of the year, one of three books business leaders should read, and has been translated and published in China. According to Wiley publisher, Richard Narramore, "this book has the potential to be a standard text on leadership for organizations around the world". Watch Jeff in Action here (Demo video), or one of his topic specific videos on teamwork, turnover, or taking risks (among others). You can also view Jeff's Speaker One-Sheet here. His articles have appeared in Fast Company, INC., American Management Association, American Express, Smart Blog on Leadership, Training Magazine, Business Management Daily, TLNT, CEO Refresher, SHRM, Non-Profit Times, Leadership Excellence Magazine, Communication Briefing, Industrial Management Magazine, ACA and Law 360. Jeff's presentations at meetings, conferences and conventions are filled with entertaining stories that chart real-life experiences from corporate America. His high-energy presentations are not only interesting and entertaining, but content rich in value with strategies and techniques that attendees can immediately apply to improve their business or personal lives. Every presentation is highly customized to fit your specific needs and he is consistently rated one of the top speakers at every event. Throughout the years, Jeff's motivational, educational and passionate messages have captivated audiences, providing knowledge and inspiration that have influenced thousands of people and organizations. He's the former CEO of one of the country's largest healthcare receivables management companies where his philosophy, "you improve the bottom line by focusing on the people side of business", was put int action on a daily basis. As a result, the company experienced dramatic growth and success. As the former CEO of a prestigious polling and political opinion research corporation, his company was involved in strategic decisions for congressional, senatorial and presidential races. While workinig under this highly stressful and time-sensitive political climate, his leadership and management skills helped people perform beyond even their own levels of expectation. As a successful basketball coach, Jeff was selected by Gillette as one of the America's outstanding coaches and appeared nationally on radio and TV promoting leadership, teamwork and positive attitudes. He is currently president of Wolf Management Consultants, one of the most comprehensive consulting, coaching and training firms in the world specializing in helping people, teams and organizations achieve maximum effectiveness. Clients include Fortune 500 Companies such as GE, Pfizer, CVS/Caremark, Citigroup, Abbott, AT&T, General Mills, Cummins, Baxter International, Monsanto, Unisys, USG, CB Richard Ellis, Qualcomm, Raytheon and well-known clients such as Sony, Samsung, Zurich Insurance, FTD, Tupperware, Enterprise-Rent-A-Car, Hyatt, Thomson Reuters, Ace Hardware and hundreds of others. Named one of the nation's top 100 thought leaders by prestigious Leadership Excellence Magazine for his accomplishments in leadership development, managerial effectiveness and organizational productivity. Find out more about Jeff Wolf at http://www.wolfmotivation.com.